There aren’t many companies around the world that can instantly generate the type of attention and uproar ahead of a product launch that Apple seems to create. This is clearly a huge positive from an organic marketing perspective, and will instantly drive traction and interest to whatever is announced during said event. However, it doesn’t always bode too well with excitable consumers who want to watch all of the action as it happens during the event. 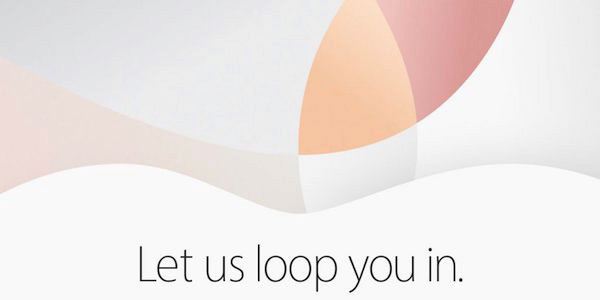 In order to make sure as many people as possible can watch every second of the “Let Us Loop You In” event this coming March 21, Apple has officially pushed its Apple Events app to the tvOS App Store on the new Apple TV 4 set-top boxes. Owners of older-generation Apple TV models have previously been used to switching the hardware on only to magically find that a live streaming app had appeared as uploaded by Apple. This was all well and good, and gave people access to exactly what was being announced during the event. However, Apple has made a slight change for Apple TV 4 owners by introducing a new, dedicated Apple Events app that lives in the tvOS App Store, and that needs to be explicitly downloaded to the Apple TV 4 just like any other app. The underlying channel that sits behind the app affords viewers with the ability to watch the live stream for this upcoming, and presumably all future, events. There’s also a historical database included within the Apple Events app that lets us all take a trip down memory lane to view archived footage of previous events. 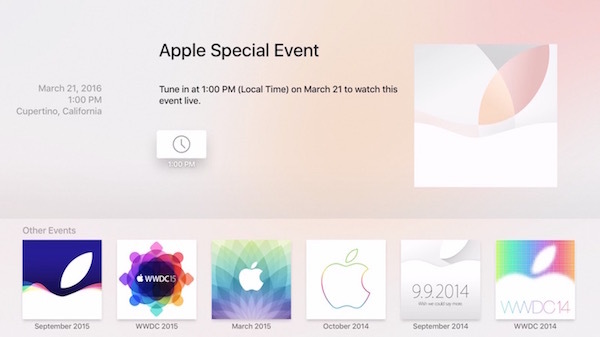 Though not all of the previous Apple events are available in the app yet but maybe that will change with time. Given the nature of this app, it’s understandable that Apple has gone with a very basic user-experience, and has chosen to let the content drive and promote the experience to the user. There’s also a tie-in with some nice little localized features, such as showing the scheduled time of the “Let Us Loop You In” event in the local timezone of the region that the user lives in. Those with an Apple TV 4 with the underlying tvOS App Store can grab the Apple Events app right now for free from the tvOS App Store.